Hey guys, omg I lost myself in this blog for nearly one month. Sorry for that and I hope all of you can forgive me. Recently I really busy on the school reopen, tackle for a lot of homework and many more. Anyway, I make my short update here with the food that you like! On 1st of January after did my new year shopping, we went to the Corner 21 which near to the Phor Tay High School to have our dinner. Morning we have Kuey Teow T'ng but at night the uncle only sell on Bihun Soup and also Tomyam Mee only! 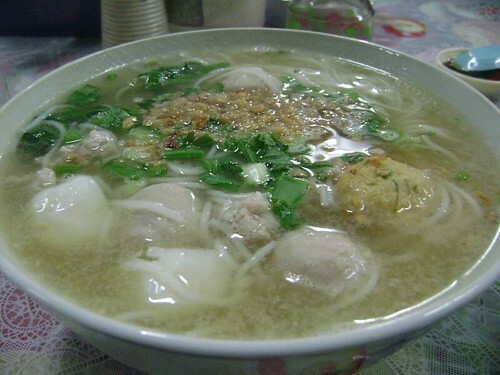 This is the bowl of Bihun Soup. 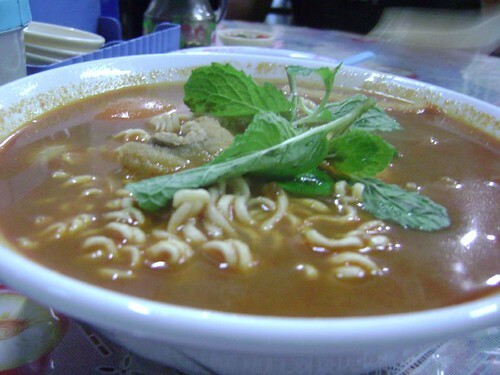 It contains a lot of ingredients such as fish balls and many pieces of meat. The soup was so tasty and the Bihun that provided is 'match' with the soup. Nice taste and I was full after having this.